Recently I was at a conference where the speaker talked about the importance of ‘trust’ in employee engagement. His message was that managers who trust their employees benefit from better relationships. This is undoubtedly true. It has been my experience that when employees are trusted to deliver, they are happier, more productive, more engaged, and more inspired to come up with ideas and new ways of working. Trust leads to empowerment and when we empower people, they thrive. 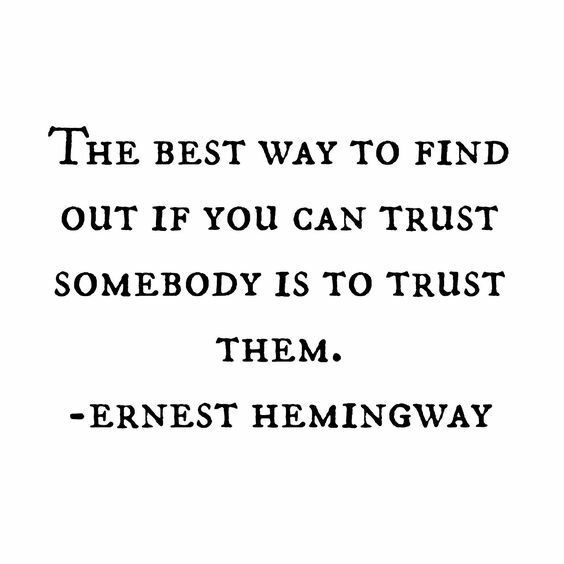 And this trust can be tangibly demonstrated in many ways. It is in the way a manager focuses on outcomes rather than input, concerned with what the employee delivers, rather than getting hung up on the ‘how’. It is giving the employee freedom to work flexibly, recognising that the individual is competent enough to effectively manage their workload. It is giving the employee access to resources, appreciating that the individual is unlikely to take advantage. I am reminded of, many years ago, working for an employer who had a blanket ban on social media. The thinking clearly being that if employees had access to social media, then we would spend excessive time updating our statuses, posting selfies, and liking posts. Which seemed grossly unfair and belittling; as if the workforce was incapable of prioritising work above all else. It was a very parent-child decision which indeed diminished the employees’ responsibility and accountability. And yet, I can, to some degree, see where the employer was coming from. Because, after all, trust is something which human beings struggle with; we often talk about people having to ‘earn our trust.’ Which is understandable; we can all speak of experiences when trust has been broken. But isn’t it better to start from a position of trusting our employees first and deal with breakdowns on an as and when basis, as necessary? To do this, I believe that companies need some key elements. They need policies, processes and procedures which give enough freedom for the employee to make their own decisions. They need communications and engagement activities which give choice, influence, and ownership; a company shouldn’t just ‘do’ to an employee, the employee needs to be given a say and some element of control. They need leaders who are honest, authentic, consistent and who engage regularly with the people. They need confident managers, managers who understand their remit and role, and are not there simply to be directive. And, there needs to be a culture where challenge is positively encouraged – and where it’s ok to make mistakes. Because sometimes things will go wrong, trust will be broken, and in an empowered, engaged and trusting workplace, that’s ok. If employers demonstrably trust their people, they will see better results, increased satisfaction and greater engagement. Which can only help companies to prosper.